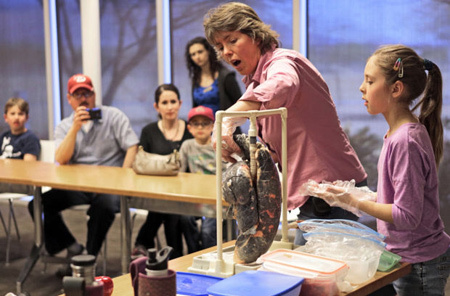 Pima County Department of Environmental Quality offers FREE presentations to groups of all ages. Topics include air quality, stormwater, climate change, pollution prevention, and general eco issues. See a description of all presentations or select the age range of your audience to view age-appropriate presentations. Read Little Green Riding Hood, a green-living oriented version of an old-time favorite fairy tale. Need to make a presentation shorter or longer? Have specific questions you’d like discussed? We can customize presentations to suit your needs. Would you like to incorporate parts of different presentations? You can pick and choose features from different presentations to Build Your Own to be the most appropriate for your audience. Contact Karen Wilhelmsen or 724-7449 for inquiries or to schedule your presentation(s). Availability depends upon presenters’ schedules. Other agencies also provide free eco-minded presentations in our community.